TEATREE HANDMADE TERRACOTTA IS BACK!! As sales director of Wellington Tile, one of the west country’s most established Tile Showrooms, Mark Atkins is well qualified to comment on trends in the market for floor tiles. What he has noticed is an interesting increase in demand for a tile that was last popular 20 years ago. Over the past decade stone, especially travertine has made such an impact in interior design that despite its obvious attraction, home owners are beginning to look around for something different. For those who like a machine made tile, porcelain with its durability and ease of maintenance is the obvious choice, however when it comes to a natural tile finish, terracotta is back in favour. 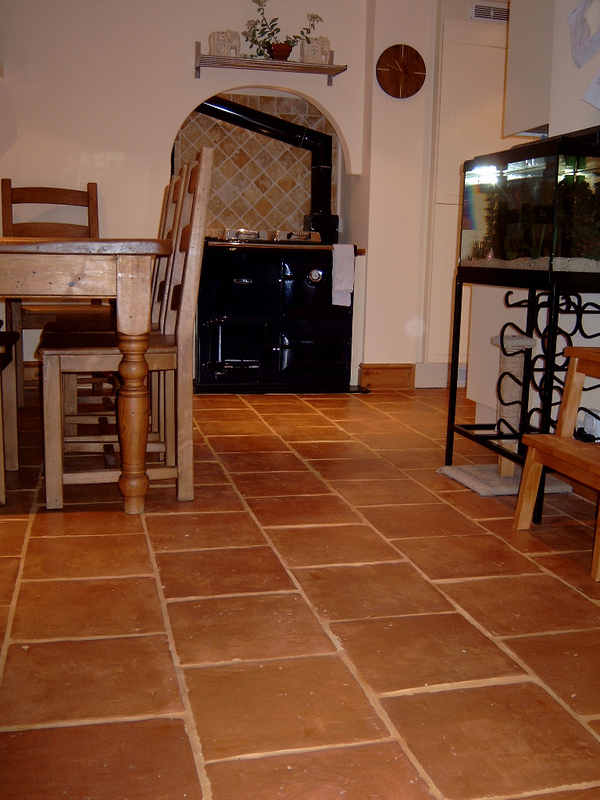 The natural insulating qualities of this baked earth tile , makes it the ideal surface to place over underfloor heating systems: Terracotta retains and releases warmth in a most efficient manner. 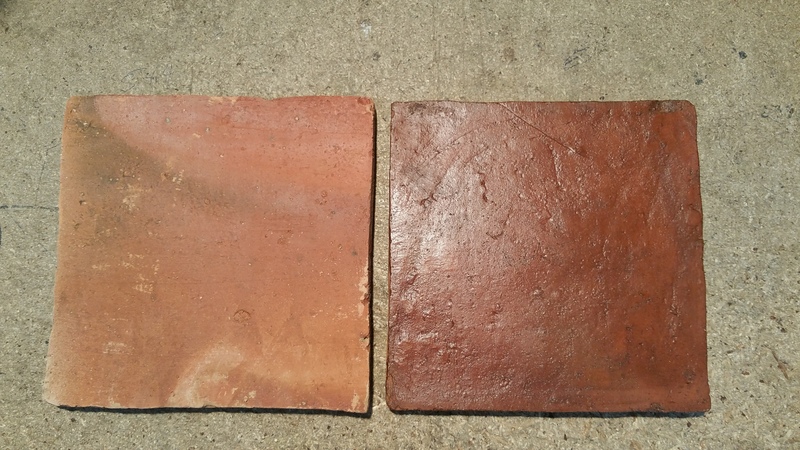 “Our business was founded in 1980 as an importer and distributor of terracotta and now that we are re stocking our warehouses with the same tile a generation later, is rather pleasing “ . 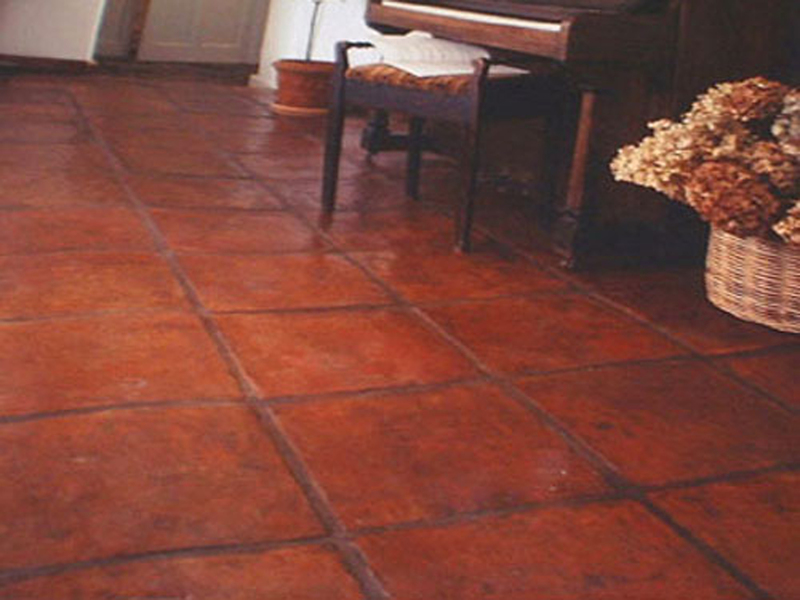 Teatree terracotta looks aged and full of rustic character from the first day of laying once sealed. These tiles are entirely handmade, therefore no two tiles are the same. 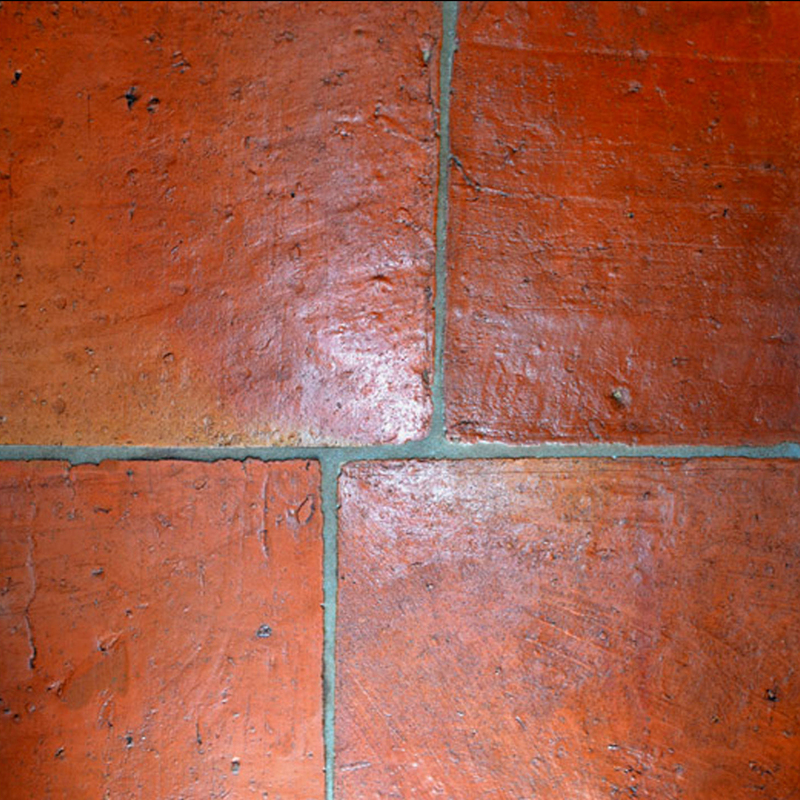 This terracotta has all the characteristics associated with a handmade tile – beautiful colour tone variation, minor structural deficiencies such as pitting, nooks and crannies on surface and edge, together with the advantage of the clay being able to retain heat. This floor will never be ice cold to the touch. Stated sizes are nominal and imprecise and there can be different porosity within a batch. PRIOR TO FIXING – Please inspect the tiles as soon as they arrive. This will give you a chance to rub down any chipped edges with a emery cloth. Make sure the sub floor is sound, level, free from dust and paint etc. 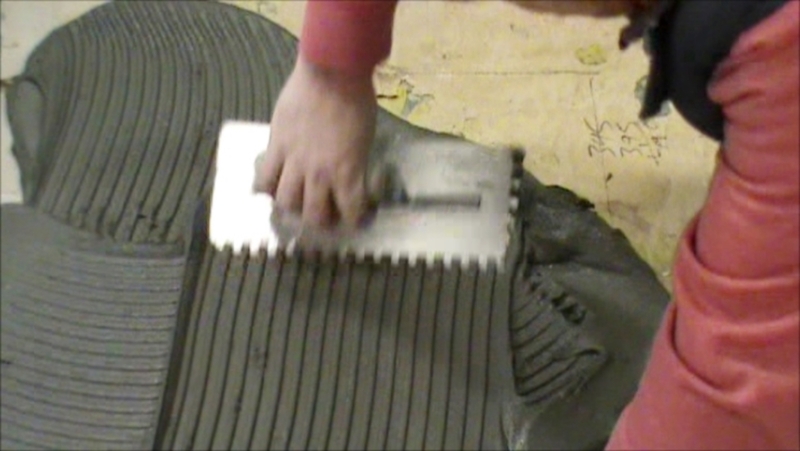 FIXING – Lay tiles into a flexible floor tile adhesive, it is important that sufficient adhesive is used to enable the tiles to be well ‘bedded’ without hollows beneath. If tiling onto a wooden floor, the floor has to be sound with no flexing. If there is any movement we recommend overboarding with either 18mm plywood or specific backer boards. Flexible adhesives and grouts must be used along with the correct board fixings as per manufacturers instructions. Once the adhesive has set clean the surface of the tile using a dry white emulsifying pad and wipe with a dry micro fibre cloth to remove any loose matter and dust. FIRST STAGE SEALING – Apply a generous coat of LTP Boiled Linseed Oil with a paint brush, the oil is designed to soak into the tile, thus filling the pores from within. The oil then hardens within the pores, remove any excess that has not absorbed after 30 minutes. Leave for a minimum of four hours and repeat. Leave 24 hours after the final application of Boiled Linseed Oil, remember to remove any unabsorbed Oil after 30 Mins. NB: Used Boiled Linseed Oil cloths can be a fire risk, dispose of any soiled cloths as per instructions on bottle. Apply a generous coat of LTP Antique Wax with a micro fibre cloth and leave for 15 minutes, then buff well using a soft brush or buffing machine. 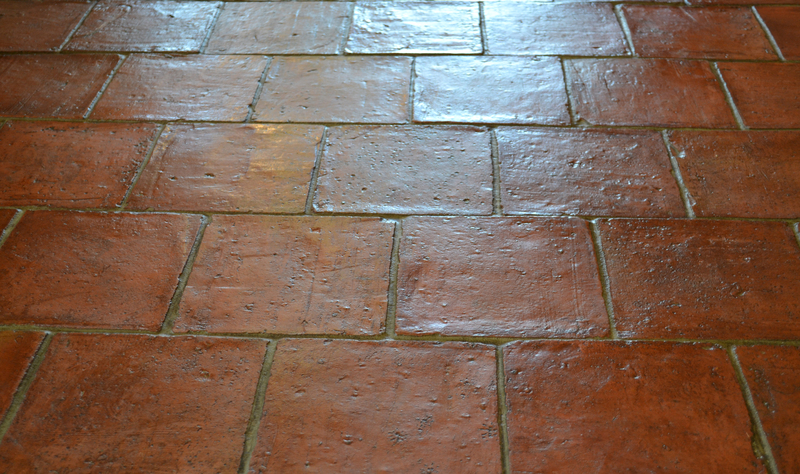 Grouting – After at least one hour after waxing grout in the joints and sponge off residues. 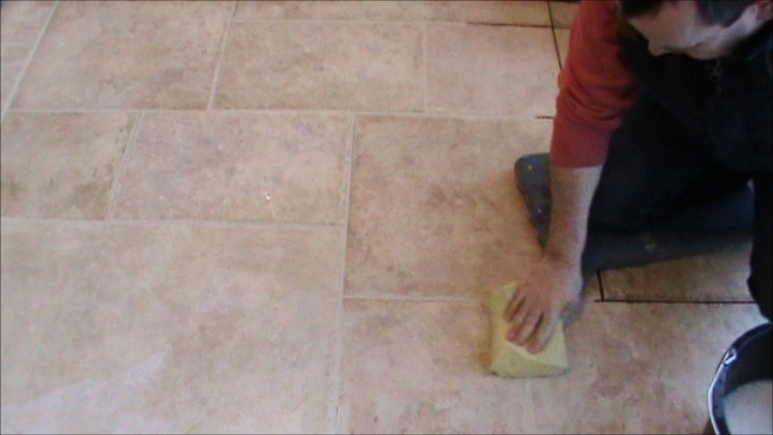 After allowing the floor to dry (Approx 30 minutes), dust off any residual grout from the surface, making sure that all grouting smears have been removed and then leave to dry for a couple of hours. 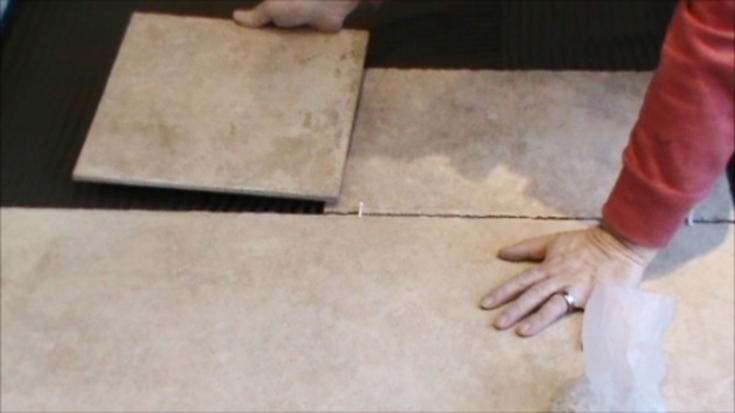 Final Sealing Stage – When the grout has cured/dried apply a final coat of LTP Antique Wax over the tile and grout joints, rubb in a with a fluff-free cloth and buff with a soft brush or buffing machine. Protect from water for 24 hours and do not wash surfaces for at least three days. General Maintenance – Do not wash your floor with detergents or bleach as these will strip the waxes, for best results maintain with LTP Waxwash for general cleaning and maintenance once a week.